A true centerpiece for any collection! 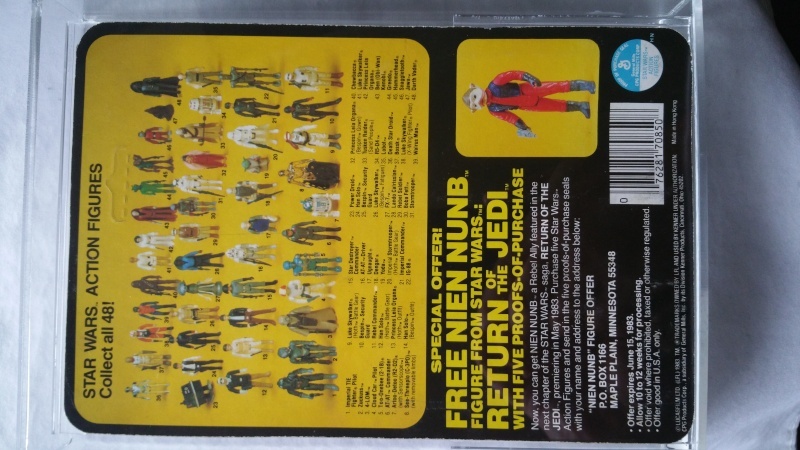 Up for sale is a Kenner Test/Sample card. This is a Nikto on 48 Back Walrusman. Test cards were used in the pre production process to test the card for balance, bubble strength, etc or Sample cards to show around. 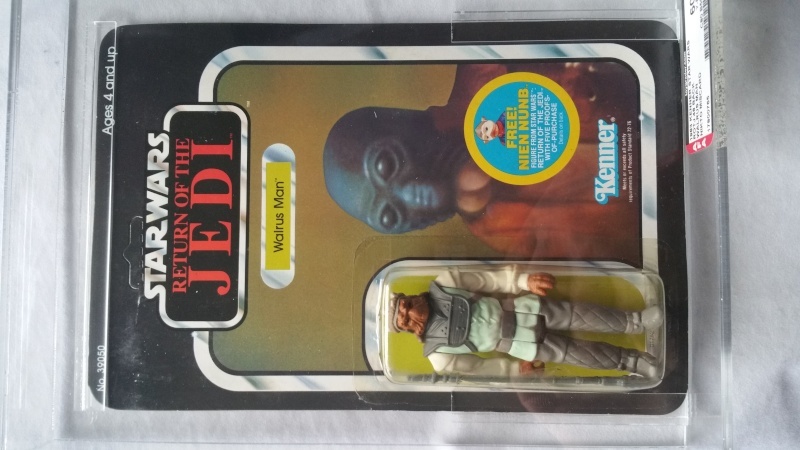 Either way they are a glimpse of what the internal process was for a figure to eventually hit the market. 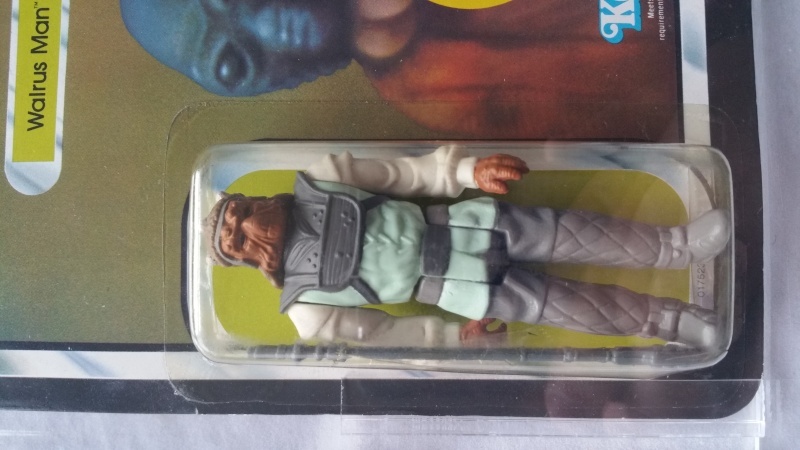 This was sent to AFA as a miscard figure and graded. However provenance and other examples turned up and it was authenticated by Tom Derby and CIB as a great card or sample. The figure was graded as an AFA60 since the hand cut bubble isn't evenly lined (obviously) but the card is great and figure is too. 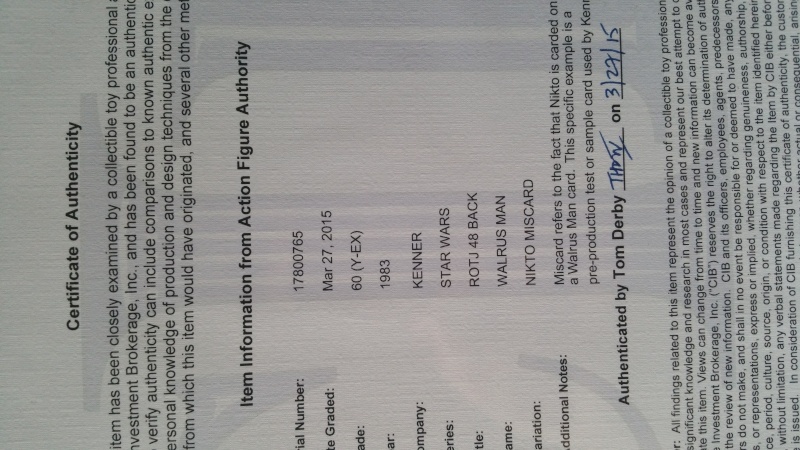 Auction includes the figure and CIB authentication.